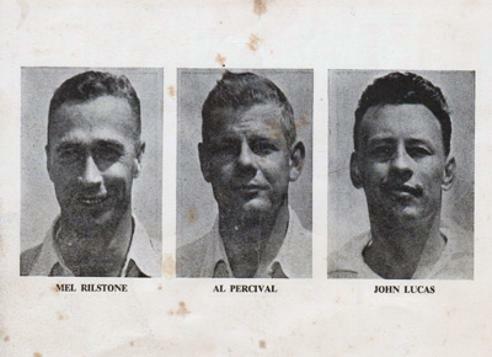 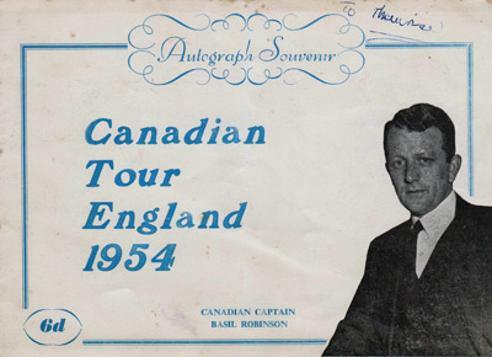 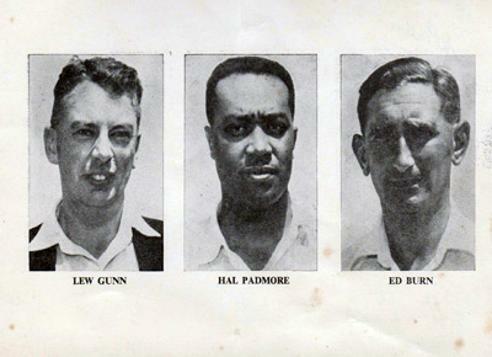 Small A5 booklet produced for Canada's Tour of England in 1954 with facsimile printed autographs of the players with portrait pics of captain Basil Robinson, Mel Rilstone, Al Percival, John Lucas, Lew Gunn, Hal Padmore & Ed Burn. 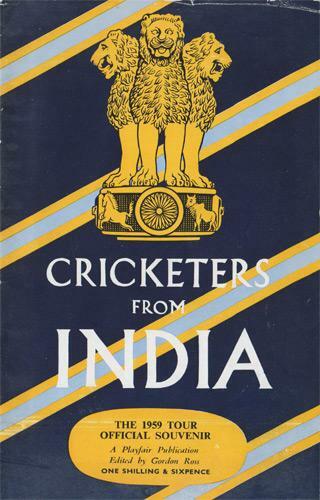 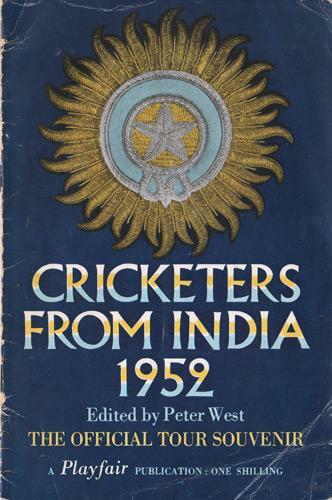 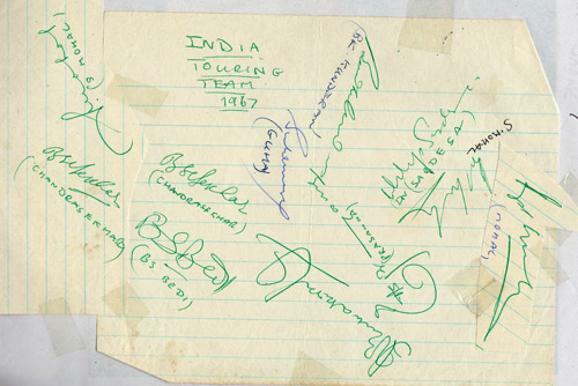 Pages signed by: Bishan Bedi, Bhagwath Chandrasekhar (twice), Erapalli Prasanna & others. 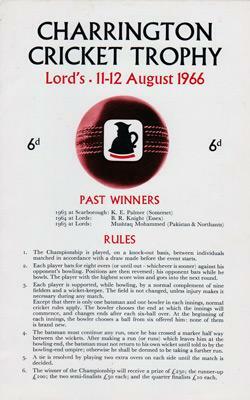 Players Records, Features & Fixtures. 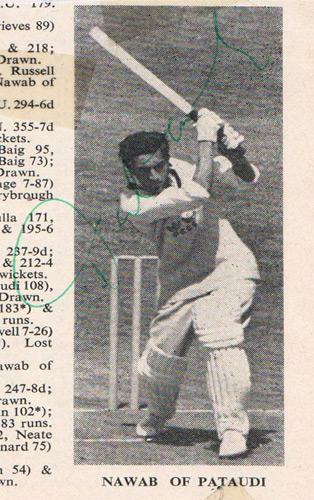 Signed newspaper clipping / picture. 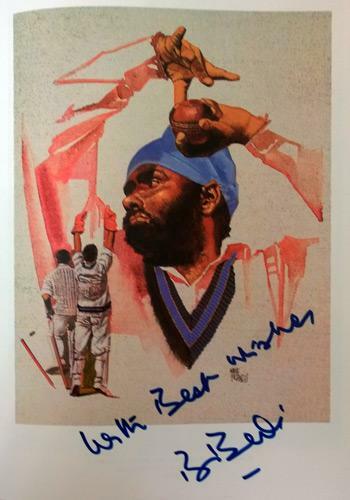 Signed Yorks CCC cricket picture card. 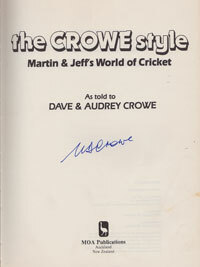 Signed Lord's Taverners Fifty Greatest book plate. 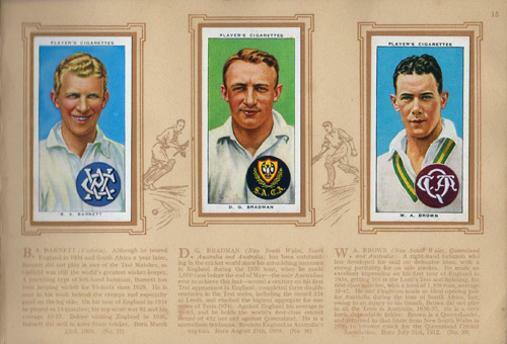 Autograph card + John Ireland book plate. 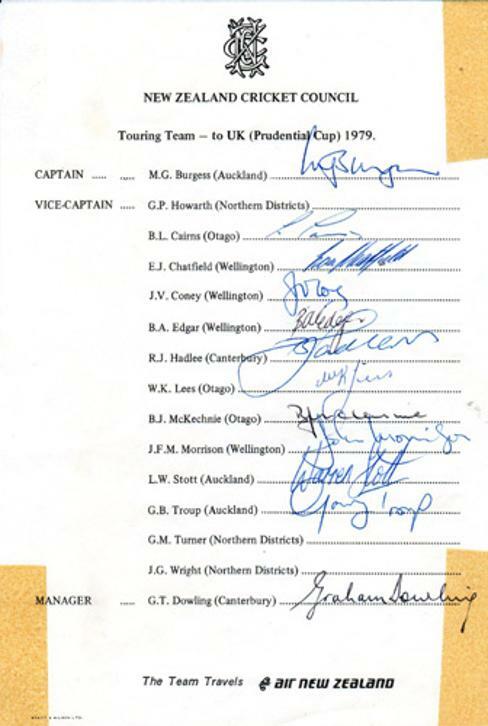 1979 NZ Touring Party to England for the Pruidential Cup series. 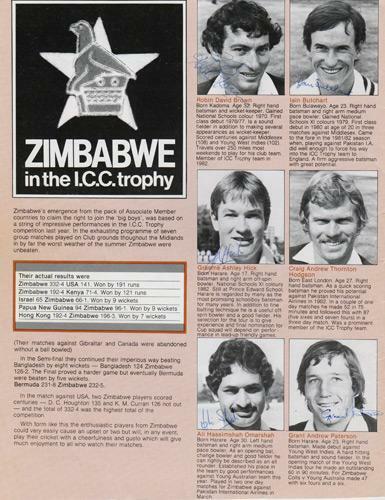 Mark Burgess (captain), Lance Cairns, Ewen Chatfield, Jeremy Coney, Bruce Edgar, Richard Hadlee, Warren Lees, Brian McKechnie, John Morrison, Warren Stott, Gary Troup & Graham Dowling (Manager). 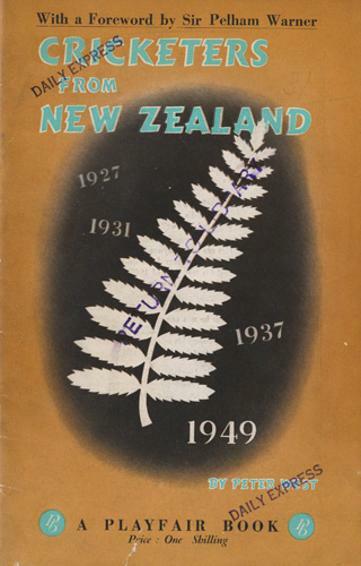 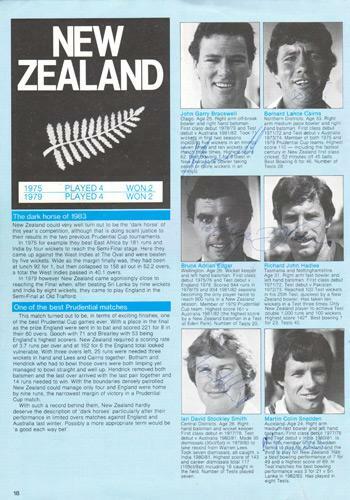 NZ Touring Party to England (c 1979). 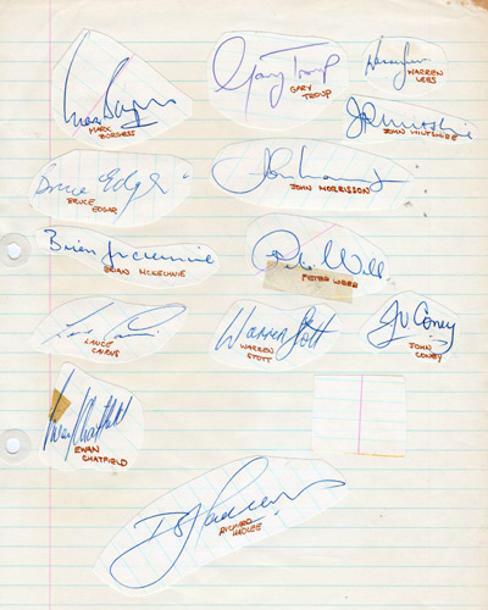 13 autographs laid down on A4 lined paper. 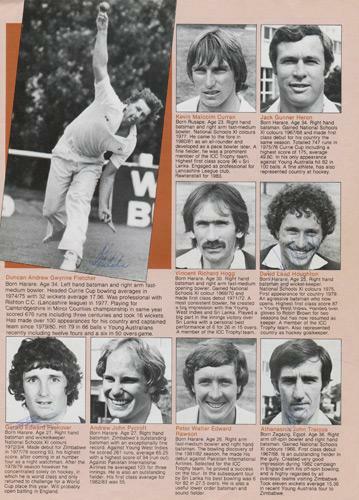 Mark Burgess (captain), Lance Cairns, Ewen Chatfield, Jeremy Coney, Bruce Edgar, Richard Hadlee, Warren Lees, Brian McKechnie, John Morrison, Warren Stott, Gary Troup, John Wiltshire & Peter Webb. 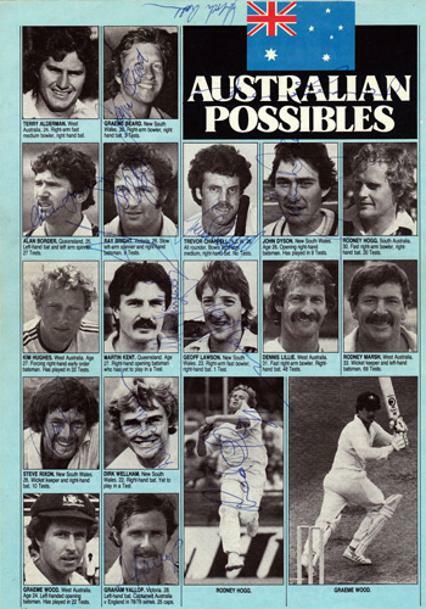 1982 World Cup Cricket bio page signed by: Richard Hadlee, John Bracewell, Lance Cairns, Bruce Edgar, Martin Snedden & Ian Smith. 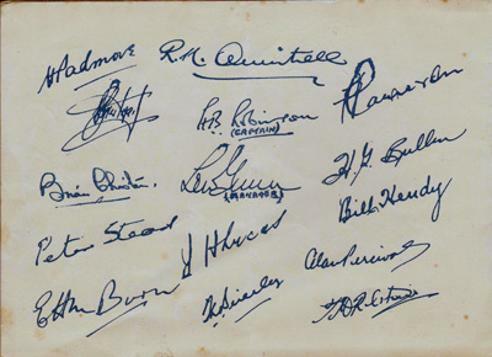 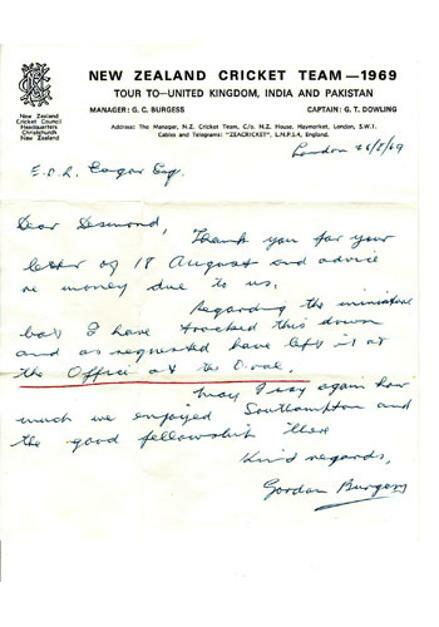 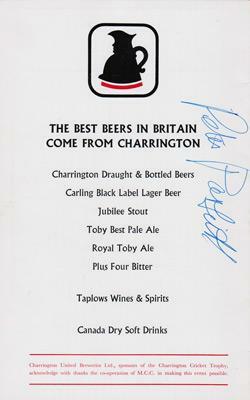 Signed NEW ZEALAND 1969 England tour letterhead. 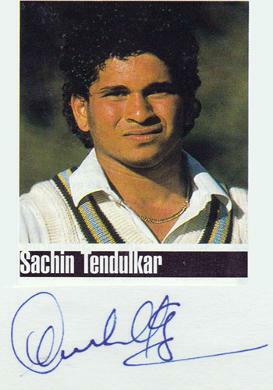 + various autographed pages & pics inside. 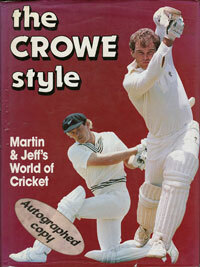 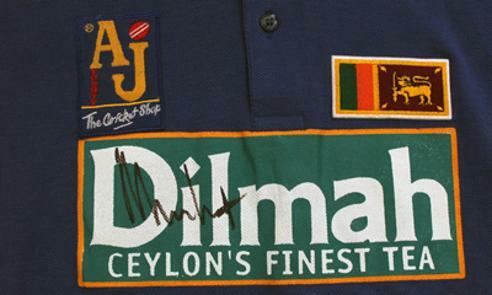 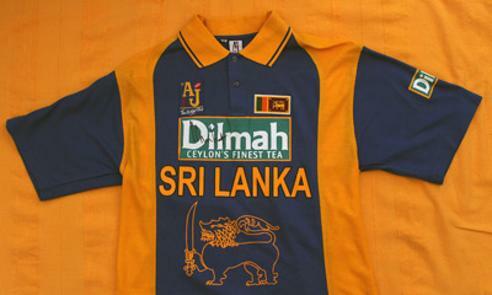 "The Crowe Style - Martin & Jeff's World of Cricket"
Signed Sri Lanka replica one-day cricket shirt. 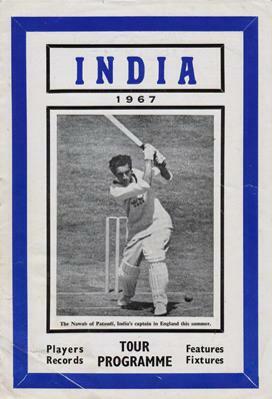 Signed colour magazine action pic batting against England in a One-Day game. 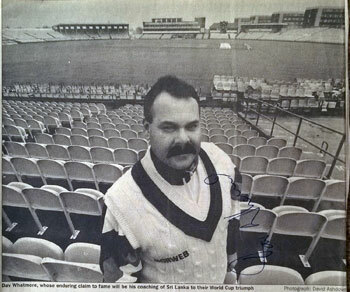 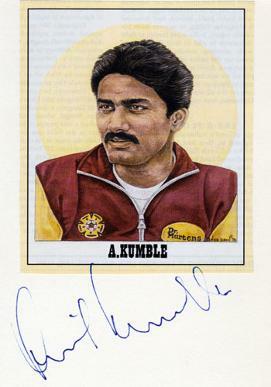 Signed B&W newspaper pic recalling his coaching Sri Lanka to victory in the 1996 World Cup. 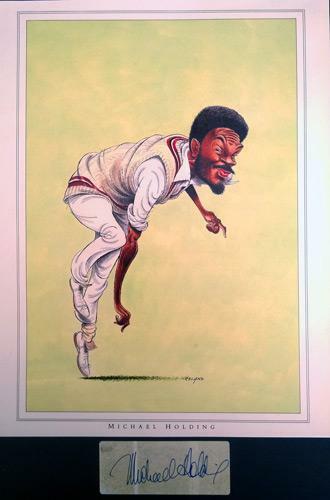 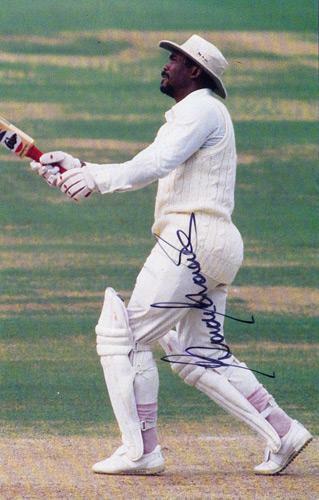 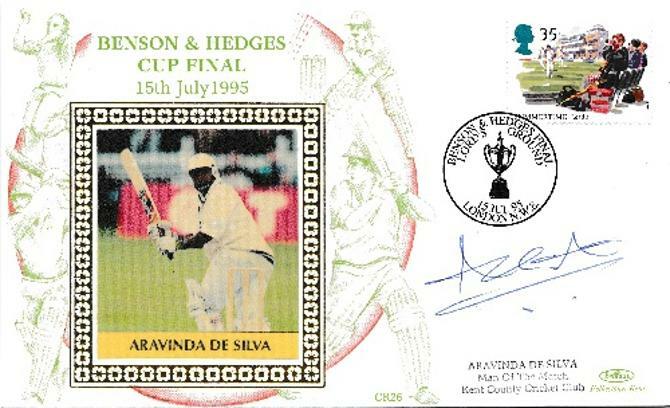 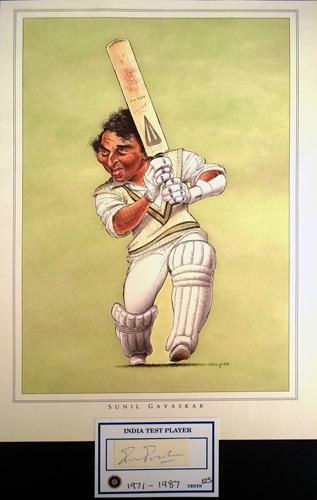 Signed 1995 Benson & Hedges Cup Final First Day Cover depicting the Sri Lankan batsman in action at Lord's on his way to earning the Man of the Match Award for Kent. 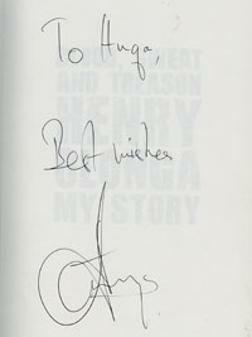 Autograph + John Ireland book plate.. 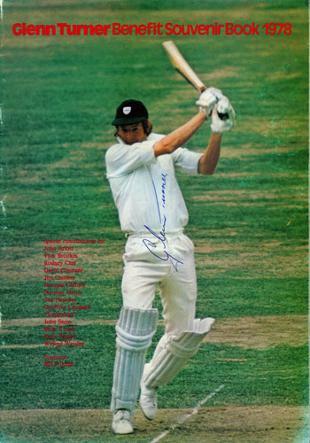 Signed colour action mag pic. 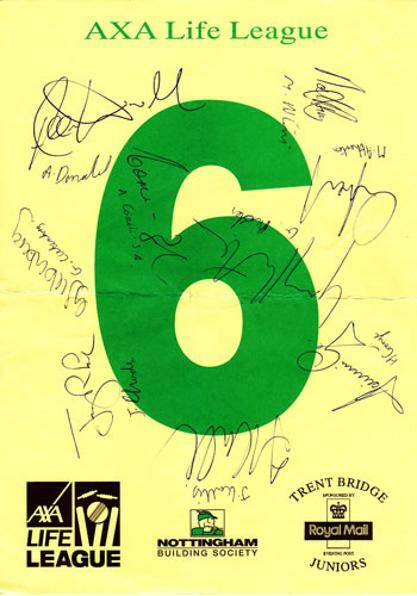 1982 ICC World Cup Cricket programme bio pages signed by: Graeme Hick, Duncan Fletcher, David Houghton, Robin Brown, Iain Butchart, Ali Omarshah, Grant Paterson, Gerald Peekover & John Traicos. 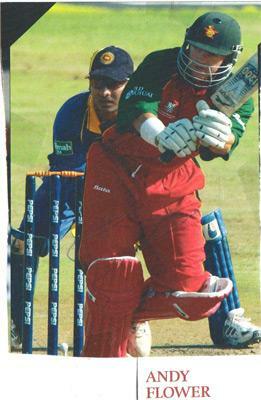 Official Neck Tie by Medallion with Zimbabwe Bird insignia. 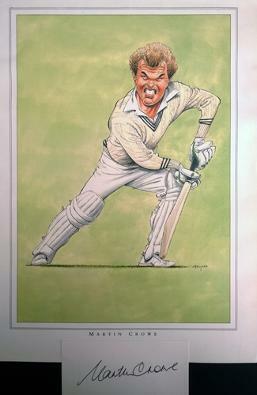 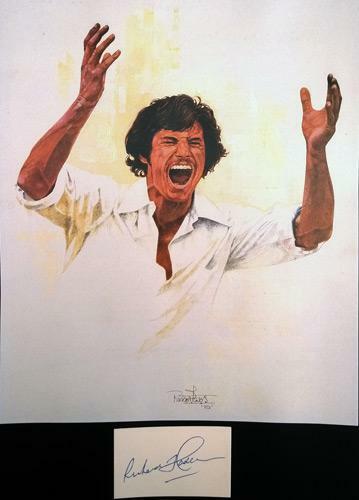 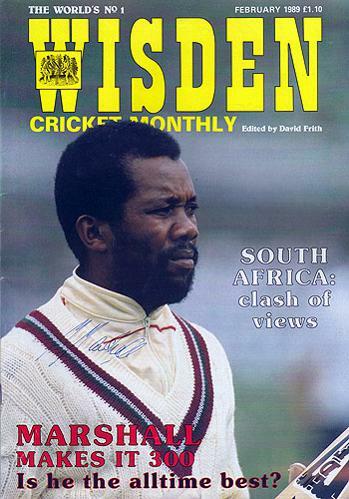 Signed colour magazine pic of Andy batting for Zimbabwe against the West Indies. 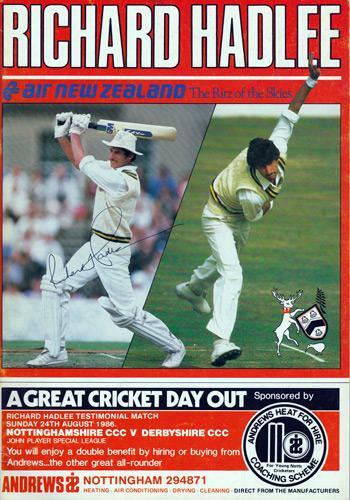 Signed newspaper Q&A column & pic. 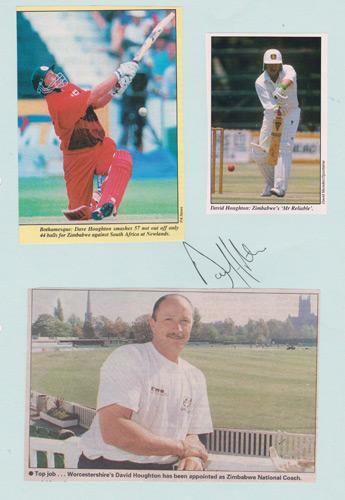 Signed montage of three pics of Houghton. 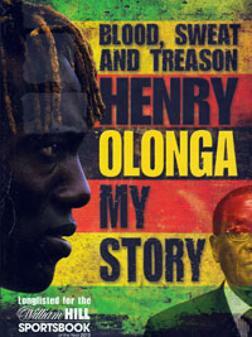 Signed & dedicated autobiography: "My Story - Blood Sweat & Treason." 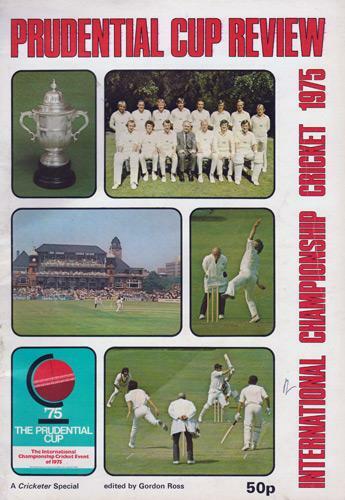 "The World's greatest Summer of cricket"
Official 20 page brochure details all the teams, fixtures, and key players in this inaugural ICC World Cup in England. 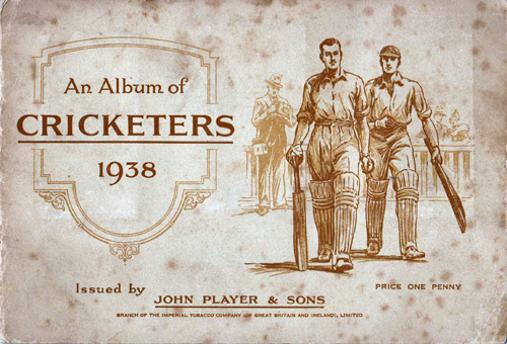 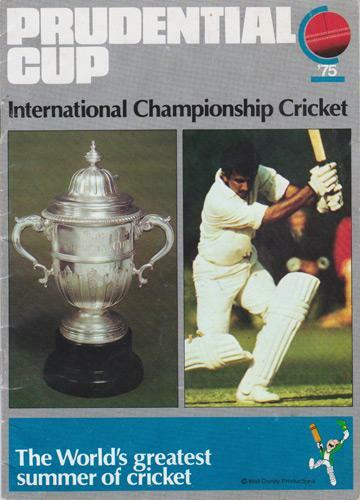 A Cricketer Special brochure details all the teams, results and key players in this inaugural ICC World Cup in England. 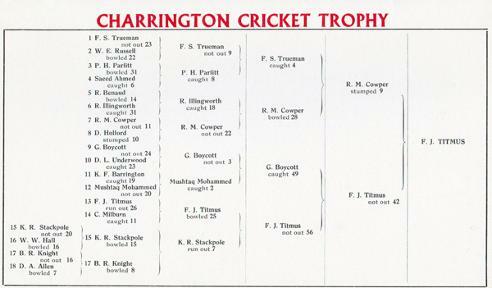 Event won by Fred Titmus. 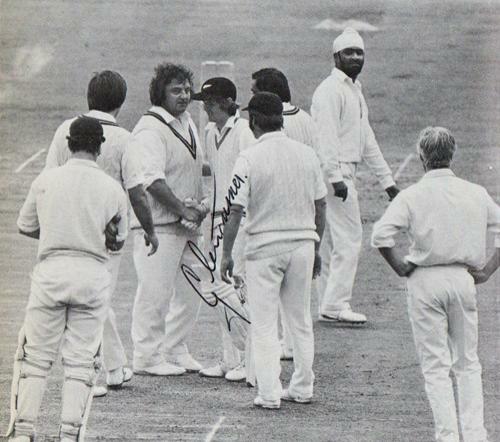 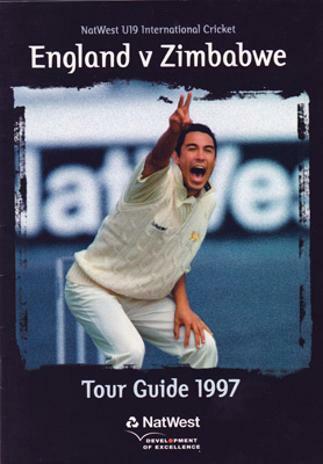 This one-wicket challenge took place at Lord's Cricket Ground and featured many of the top international cricketers of the day inc: Geoffrey Boycott, Fred Trueman, Keith Stackpole, Richie Benaud, Mushtaq Muhammad, Ray Illingworth, Derek Underwood, Ken Barrington, Colin Milburn & Wes Hall. 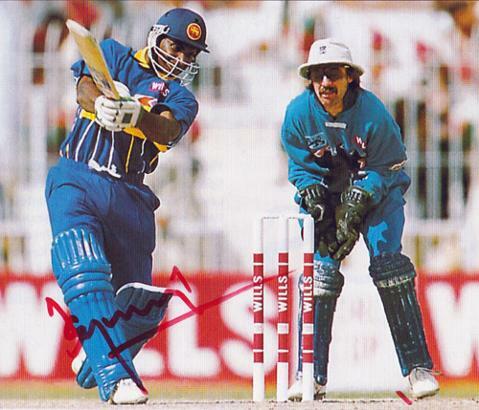 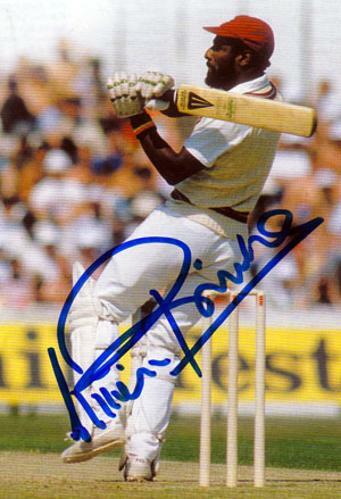 Welcome to Uniquely Sporting's sports shop / store page for World cricket memorabilia, collectables & souvenirs, with a great collection of autographed & signed items: photos, prints, posters, player cards, postcards, balls, boots, shirts, clothing, books & First Day Covers ... for Australia, West Indies, South Africa, India, Pakistan, Sri Lanka, West Indies, Zimbabwe, Ireland, etc.